Welcome to Lyme Disease UK. If you’re often out and about in the British countryside, walking your furry friend, you need to be aware of the dangers of tick borne disease. Most notably, Lyme disease. Lyme disease is a bacterial infection spread by ticks. Ticks feed on the blood of birds and mammals such as mice and hedgehogs, who act as reservoirs for the Lyme disease bacteria. 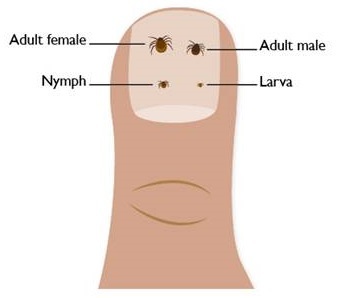 Once a tick has contracted the bacteria it is then capable of passing it on to the next animal they bite. Your dog can pick up a tick (or several) when brushing past tall grasses where ticks will ‘quest’ for their next meal. Ticks are most active from early spring to late autumn, but they are still a threat in the winter months. They can be found in areas with tall grasses and woodland but they have also been found in town parks and gardens. This is likely due to birds and pets, who unknowingly act as ‘transportation’. Be sure to regularly tick-check your cats too. Remember – ticks will feed on anything with a pulse, including you! Walking your dog will likely expose you to tick habitats so you will also need to take preventative measure to protect yourself and your family from ticks and Lyme disease. It is not unheard of for a beloved family pet to bring an infected tick into the home, so please be cautious. It is possible to buy pre-treated clothing from camping or hunting shops that has been sprayed with the repellent permethrin – this product can also be sprayed onto clothing and shoes but it should not be applied directly to skin and it is highly toxic to cats. 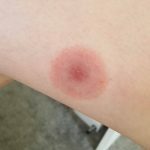 An EM rash, also known as a bulls-eye rash may only occur in two of every three cases, so how else can you identify Lyme disease? Acute symptoms can include: headache and migraine; fatigue; muscle and joint pain; nick stiffness; a fever; sweats; and swollen glands. Lyme disease can present differently in each person and parents should look out for mood swings and irritability in their children. Feeling like you have a ‘summer flu’ or becoming suddenly unwell after a camping trip are key indications of a tick bite. 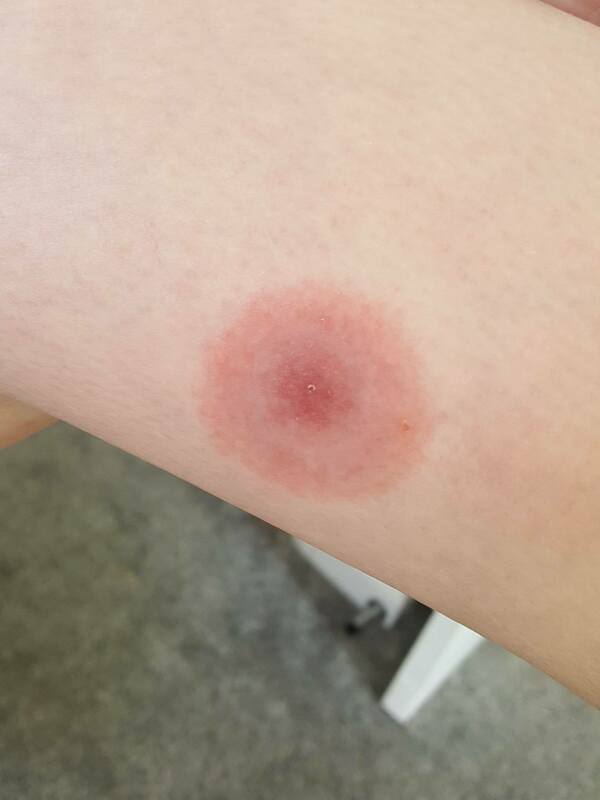 Anyone presenting with an EM rash needs to see their GP straight away who should diagnose Lyme disease and treat the infection with antibiotics. There is no need for blood testing when an EM rash is present. If your GP is unsure, please direct them to the PHE website for guidance and suggest that they complete the RCGP Lyme disease module online. If you suspect Lyme disease but have no rash, be clear with your healthcare provider about your potential exposure to ticks and the symptoms you are experiencing. They will likely need to perform an ELISA blood test to check for antibodies. However, your antibody production can be delayed for 4-6 weeks after an infected bite and current testing is flawed, meaning false negative results are possible. If you receive a negative ELISA and still suspect Lyme disease please discuss further with your GP or get in touch with us for support. Lyme disease can cause serious illness and disability if left untreated. There are many Lyme diseease patients living with the consequences of late-stage and chronic Lyme disease due to a delay in treatment. You can help us to prevent this happening to your friends and families by encouraging people to protect themselves from tick bites, and teaching others about Lyme disease. Share this page to your social network or head to the LDUK downloads area to find print outs and more.